EasyJet will add Luxembourg to its route network from 29 October, with four flights per week between London Gatwick and Luxembourg Findel airport, on the outskirts of the capital city. The route is aimed primarily at business travellers and, in their press release, easyJet say “Luxembourg is a key commercial European centre with a number of large global companies basing their headquarters in the city, including well known brands like Amazon, Paypal, Exxon Mobil and Skype”. At present, British Airways operate two daily flights to Luxembourg out of Heathrow, while the Luxembourg carrier Luxair fly to London City airport, as do CityJet, a subsidiary of Air France. British Airways recently announced a 100% increase in passengers between the two cities in the one year since switching the route from Gatwick to their new London base at Heathrow’s Terminal 5. Meanwhile, Luxembourg trade union LCGB fears for the future of Luxair and has called for a discussion on the long-term vision for Luxembourg’s airport. Last December, Luxembourg Tourism Minister Françoise Hetto-Gaasch denied speculation that a low-cost airline was looking to serve Luxembourg. Since the easyJet announcement, Hetto-Gaasch has denied canvassing the airline and told reporters, “If easyJet wants to land in the same way as other airlines on the tarmac of Luxembourg, why should we stop them?”, also pointing out that Findel has unused capacity. 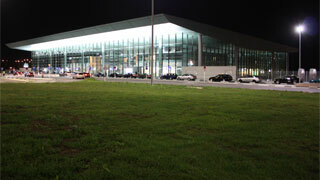 In 2010, the Luxembourg airport handled 1.6 million passengers, although a new terminal put in to service in 2008 has increased capacity to 3 million per year. 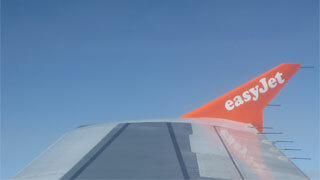 In addition to the new destination, easyJet are also introducing new links between their existing bases, with new routes from UK airports to Amsterdam, Copenhagen Geneva, the Isle of Man, Tallinn, Tel Aviv, Turin and Venice, as well as a domestic service between Birmingham and Belfast. The airline was founded by Sir Stelios Haji-Ioannou in 1995 and carried 42.4 million passengers in 2010, making it the largest airline in the United Kingdom. 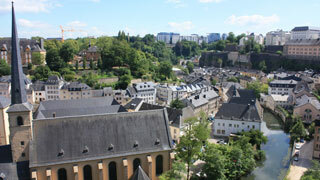 The new route to Luxembourg will bring to thirty the number of countries it serves.